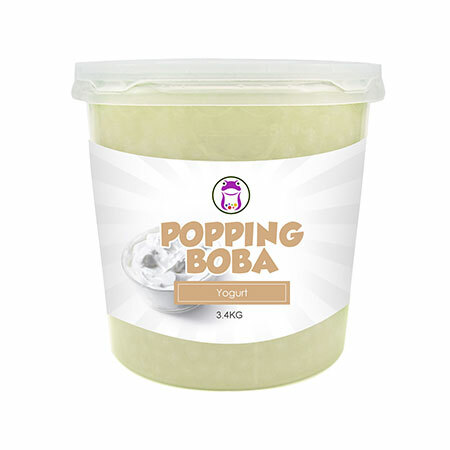 As a professional Manufacturer, Supplier and Exporter with a factory in Taiwan, our main products include all kinds of Popping Boba Yogurt products. Our in-depth knowledge of the products and applications along with efficient and personalized service enable us to build ever lasting products with our customers and suppliers. Our range of products and impeccable services has leaded our business to new heights. If you are interested in any styles of our products, please feel free to contact us. Yogurt Syrup is the king of the most all-matching syrup, the taste of yogurt goes well with most of the fruity tea beverages. It's unique sour-sweet mixed taste is mostly welcomed by the customers. Sunnysyrup bringed out Popping Boba-Yogurt Flavor Coating Juice to satisfy customers' needs. Popping Boba-Yogurt Flavor Coating Juice is milky-white color, with bright and smooth surface. When biting the boba, yogurt syrup is flowing out into your mouth. sour-sweet mixed taste of yogurt syrup makes various kinds of tea appreciation. Regardless of extract tea or fruity tea, adding Popping Boba-Yogurt Flavor Coating Juice could be perfect fusion. Even adding in smoothie,milkshake or snow ice enrich the flavor and vision. lifting the spirits and with lasting aftertaste. Popping Boba-Yogurt Flavor Coating Juice is made of Yogurt Syrup, suitable for various of drinks and as topping for frozen yogurt.